the rocky road to Dublin and Brussels, parallel roads that Sinn Féin and R2W Ireland plotted that led a mass movement in Ireland against a corrupt water company and water charges up a long bureaucratic path only to come back full circle and set in stone water charges, metering and Irish Water Ltd. A story of complicity of TDs going along for the ride and accepting R2W’s status quo and modus operandi. ‣ The report by the ‘Oireachtas Committee on Funding Domestic Water’ agreed in April 2017, was more or less based on a ‘European Citizens Initiative’ report produced by Lyn Boylan, Sinn Féin MEP, in Brussels and approved by the European Parliament in Sept 2015 - all Sinn Féin MEPs voted? ‣ Sinn Féin’s Eoin Ó Broin said in March 2016 “I haven't heard anybody outline a detailed or credible alternative to Irish Water.”? ‣ Brendan Ogle, Right2Water Ireland spokesman, said in November 2016 that he agreed with an excessive use charge and this decision was backed by Steve Fitzpatrick and David Gibney in February 2017 during a session of the Oireachtas Water Committee? ‣ Right2Water TDs agreed to take part in a Government Committee where only domestic water funding was it's terms of reference. The subject of the hated Irish Water Ltd utility company was not even on the cards? ‣ Senior Sinn Féin leaders agreed with water charges, signed on with Irish Water, disagreed with the boycott campaign and actively worked behind the scenes to undermine the mass movement against water charges for their own political end? You might decide that these are outlandish statements and not continue. However, if you do continue, let us warn you; some of the following are our opinions but also some are facts! Some of the gallant soldiers, R2W leaders that took the ball and ran with it ducking and diving through a political minefield, all the way to the finish line. It was an own goal. This article is a continuation of two previous ones. They question the role played by the Right2Water Ireland (R2W) organisation along with it’s hierarchy of union officials, politicians and hand picked community representatives in the anti water charges movement in Ireland since it’s inception in 2014 up to what we would describe as a preordained controversial conclusion in April 2017 of the 'Oireachtas Committee on Future Funding of Domestic Water'. R2W’s role, we conclude, has been one akin to ‘controlled opposition’ that finally led the anti water charges movement in Ireland down a political cul-de-sac culminating last month’s in an incredibly disappointing report agreed by the Oireachtas Water Committee. The article is not about the pros and cons of Irish Water Ltd or Water Charges, per se. It is specifically about how and why a diverse grassroots movement, with a great potential for social and political change, was taken over, manipulated and led by an undemocratic organisation of trade union officials and political parties for their own ends. The first of our trilogy was ‘The Day the Music Died For Ireland’s Water Movement’. It gave a breakdown of the'Oireachtas Committee on Future Funding of Domestic Water' report and the part Right2Water TDs played in it. The second article was 'Right2Water TDs’ Premature Victory Claim’. It zoned in on a particular interesting event that Right2Water TDs were involved in, namely the draft report stage of the Oireachtas Water Committee. With this third and final article we seem to have come full circle from 2015 when we wrote 'A Donegal Critique - A Microcosm of the Malaise Affecting Right2Change Ireland’. In that article we described our experience with Right2Water/Right2Change and Sinn Féin in Donegal and equated it with what we saw as a take-over nationally of the grassroots anti water charge movement, a power grab by Right2Water Ireland by Unite/Mandate trade unions and Sinn Féin. We have heard the argument that it’s best to hold our tongue and not give establishment parties an insight into the flaws of the so called leaders of the R2W mass movement. However, we feel that that argument is like ‘the end justifies the means’; anything goes including deception and lies so we can win a cause. How far do we go or how much do we suppress? Surely for a mass movement fighting against corruption this is hypocrisy? If a movement has strong foundations then it should have nothing to hide and in fact welcome criticism and debate. Is the philosophy of ‘the end justifies the means’ acceptable? Anything goes as long as we attain our goal, winner takes all. That seems to be the philosophy of modern society and so maybe nobody takes any heed. It certainly is the philosophy in establishment circles such as the hallowed halls of Dáil Éireann or the boardrooms of corporate enterprises. Parliamentary democracy, especially in Ireland, is built on winning at all cost, where rogues and charlatans compete in a Machiavellian game where anything goes as long as you win. In a grassroots movement whose fundamental strength lies in co-operation, democracy and inclusiveness with the aims of opposing corruption, austerity, injustices and deceit etc, then our answer is an emphatic ‘No’, it is not acceptable. It is hypocritical and immoral. Such a philosophy is the opposite of democracy and cooperation. The foundation of any grassroots organisation must be built on the solid ground of democracy, inclusiveness and honesty. It should encourage debate and constructive criticism. That may sound naive or Utopian, however, any organisation or party that dabbles in what we Irish call ‘Cute Hoor’ philosophy, it will end up no better than that which it fights against. In fact it will end up worse because of it’s deceit and dishonesty. In our view, the two main protagonists that took control of the anti water charges movement in Ireland are Unite and Mandate trade union, (principle R2W organisers, funders and facilitators) and Sinn Féin, (largest political party in R2W and consequently the one with most influence). It was a mutual, ‘you scratch my back and I’ll scratch yours’ where the organisation suited both their agendas. However, they can not take complete credit. All the various supporting trade union officials, TDs and smaller political parties that allowed it to happen and said nothing should be held accountable. We published an extensive article in 2015 entitled ‘A Donegal Critique’ (referred to above). In that article we described the goings on behind the scenes in Right2Water both locally and nationally. Our criticisms and revelations are as relevant today as they were then. They have never been refuted. We're going to be part of the anti-austerity leadership. And if Paul Murphy wants to be part of that he is going to have to be more leaderly and less sectarian in how he promotes his political position. An noticeable example of the relationship between Sinn Féin and R2W trade unions is given below in the paragraph ‘Lyn Boylan takes Sinn Féin and Right2Water Unions’ Delegation to Brussels’. It gives a description of an episode that took place in February 2015; this time facilitated by Sinn Féin who invited R2W Trade Unions to Brussels. In hindsight it was a pivotal event and one that would have major consequences, not only in consolidating the R2W trade union/Sinn Féin relationship within the leadership but also within EU circles as well. As we will see the section 92 of Lynn Boylan report and it's concession to charging for water would have a direct influence on political deliberations not only within R2W but also within the establishment thinking. Everything led to a preordained outcome, either the establishment would get their cake and eat it or they could fall back on the United Nations Human Rights to an amount of water which in their eyes might be acceptable. As it turned out it was. 1. It must be democratic and representative and the structural means put in place to ensure this. 2. It should be built on openness and freedom, where informed members are able to debate and criticise? In the case of Right2Water Ireland, it had neither of these. From the beginning in 2014 to the present day it was undemocratic and divisive, unrepresentative of all the various groups throughout Ireland and controlled centrally by a Dublin clique of trade unions, politicos and unelected, hand picked community representatives. Instead of including many diverse groups throughout the country, R2W encouraged the setting up of local R2W groups, often organised by Sinn Féin. Some of these groups competed with established organisations leading to strife. Eventually through the resources of Unite and Mandate trade unions and strength and party structure of Sinn Féin, R2W became the de-facto voice of the mass movement. By late 2015 after the trade unions pulled out all the stops to transform R2W into the more political Right2Change organisation, their control was absolute. Even the facade of democracy it once portrayed faded and it's political agenda took center stage and became it’s main focus. The emphasis on parliamentary politics in the run-up to the 2016 General Election and it’s aftermath including the ‘Expert Water Commission and the recent Government established Oireachtas Water Committee showed this clearly, With the long drawn out political focus and R2W reluctance in totally backing civil disobedience and non-payment the grassroots became less and less involved. ........ In the final phase of the water charges movement it’s the political parties and Independents, who are in the Oireachtas Committee at the moment, that are pushing the thing over the line. It’s as if they have taken the ball and crossed over the line with it, and great. First we have to counter a bit of revisionism on Mr Ogle’s part, where he talks about the R2W campaign as the greatest grassroots achievement since 1916 and remind him that there were two successful ‘anti water charges' campaigns already in Ireland, one in the 70’s and again in the 90’s. We know this because, in the latter campaign, one the the authors of this article had his water cut off for over a year at the time and was also brought to court. Anyway we agree with Mr Ogle when he said politicians took the ‘ball’ and ran with it. However, we believe , contrary to what Mr Ogle thinks, that they took 'the ball' away from the grassroots movement long ago, they controlled it and the R2W TDs stumbled over the finishing line on April 12th 2017 when the Oireachtas Committee on Funding Domestic Water published it’s ‘final report’. However, who the winners are is debatable. In our view what the politicians did was deplorable and we have given our view of R2W role in the articles'Right2Water TDs’ Premature Victory Claim’. * What exactly have we won? We refer you to our review of the final report; The Day the Music Died for Ireland's water movement - Politics as Usual. * When and who made the decisions to accept and even take part in an establishment setup i.e the Oireachtas Committee on Future Funding of Domestic Water in the first place? * Who made the decisions to accept the proposals in the ‘Confidential Draft Report’ and why did the R2W TDs mislead us with their ‘Victory’ statement on April 6th? Right2Water Tds' premature Victory claim - We were sold a pup? *Who decided to accept the ‘excessive charges’ principle and accept Irish Water Ltd? * Why was there no mention of the 'Water Framework Directive’s 9.4 Section', the 'Irish Exemption', as it is called, or anything about the River Basin Management Plans in the report, either in the Oireachtas Water Committee's report or during proceedings? * Why was the wider movement not kept abreast of all relevant details, including submissions prior to and during the Oireachtas Water Committee'sproceedings? Even to date we do not have the details. * Given the Oireachtas Water Committee’s very limited ‘Terms of Reference’, it’s make-up and the political affiliation of it’s members which ensured an outcome, surely there were grounds to refuse to take part in such an obvious establishment setup? * We put it to you that the grassroots movement had been sidelined and had no part in any of the submissions and decisions of the Oireachtas Water Committee. Right2Water a noble ideal gone bad? Initially, Right2Water Ireland was a noble ideal, a coordinated grassroots community centered movement with support from trade unions and sympathetic progressive politicians and political parties. However, there is a subtle difference between a supported grassroots movement and a led one. The R2W ideal was soon exploited and quickly became a top down undemocratic organisation whose adept and assumed leadership spared no expense and guile in order to consolidate it’s control over it. Control centered around Unite and Mandate Trade Unions and Sinn Féin who were the largest political party and consequently had the biggest influence. There were other smaller political parties, individual politicians and groups involved, however, whether it was expediency or naivety they all succumbed to clever manipulation by those who were pulling the strings. The R2W’s brand and it’s structure was also an important catalyst for sowing the seed of rivalry and discontent among diverse and alienated groups throughout the country. 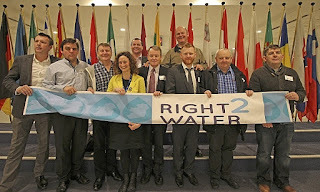 Right2Water is a coalition of community activists that is supported by five trade unions Unite, Mandate, Opatsi, the Communications Workers Union and the Civil and Public Services Union. Not really. It was an opportunistic power-grab by certain individuals and parties that we warned people about after their first invite-only national meeting and consequently we were shunned and not invited to any more meetings and not asked our opinion on anything ever again. It’s what’s called Controlled Opposition. As far as we are aware there has never been any in-depth discussion on the Right2Water Ireland organisation. More than likely it was a combination of slick and experienced propaganda by Unite, Mandate and Sinn Féin and a lazy mainstream media who found a handy main R2W spokesman in Brendan Ogle. There was an insightful speech given by Edwardo Maura. ( Podemos, Spain) at R2W Trade Union May Day Conference : at approx 1:11:27 mins. He talks about the success of Podemos in elections and attributes it to a ‘top-down’ approach as opposed to ‘bottom-up’ one. Many might have missed that little reference, however, in the context of the Right2Change plan, it was highly significant. You know how Sinn Féin propaganda machine keeps harping on about their leading the Water Charges campaign in the Six Counties? Well an insightful and interesting speech from R2W Trade Union May Day Conference was from Paddy Mackel, NIPSA: at approx. 4 mins. Mr Mackel, NIPSA focussed on the water charges campaign ‘north of the border’ in 2006. Interestingly he mentioned that NIPSA adopted a non-payment strategy. He also said their campaign faced significant opposition from all political parties. However, he said "in the run-up to the 2007 Assembly Election things change quite literally overnight when the DUP and Sinn Féin committed themselves not to introduce water charges ." Mr Mackel's view seems to be in stark contrast to Sinn Féin constantly giving the impression that it championed the water campaign in the ‘Six Counties’. Sinn Féin also flatly refused to advocate non-payment or breaking the law in the R2W campaign. Firstly, we have to make a distinction between R2W leadership and R2W rank and file. The grassrootsbelieved that R2W was a united and inclusive coordinating organisation. They had no difficulty marching in unity against Irish Water Ltd, refusing to pay charges, returning bills, not recognising Irish Water Ltd, disrupting meter installations and civil disobedience. They were delighted to see the numerous diverse groups throughout the country and all marched together. However, the leadership took a different approach. It was top heavy with politicians and union officials with their party and personal agendas. Given the strength of the political wing in the organisation it was inevitable that it would take a top-down approach and as it turned out a paternalistic, condescending and middle of the road one to boot. The rank and file did all the spade work but it was the leadership who had the guile. Since it’s inception the R2W leadership were reluctant to provide clear support and information including legal advice about tactics around interfering with meter installation, non payment of water charges, court proceedings and even Irish Water itself. Instead they were all about grand gestures like marches, photo-shoots, glossy leaflets and elitist conferences. Whatever actions they did take were minimal to appease their sceptic and expectant supporters wanting their leaders to shed blood for the cause. However there were very few instances of the R2W leaders and TDs leading by example, rolling up their sleeves or getting involved in civil disobedience. You could count in one hand instances of leaders storming the barricades or going down with guns blazing. The least they could have done was fully support the non-payment campaign or the various civil disobedience tactics that the rank and file wholeheartedly supported and practiced. We shall see how the one party that championed the non-payment tactic, the Anti Austerity Alliance, (now Solidarity) was sidelined and ostracised in the 2015 Right2Cange coup orchestrated by R2W leadership and Sinn Féin. (see para. 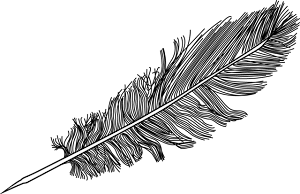 below R2W Metamorphosis). It was interesting to note how the AAA’s coalition partner, the People Before Profit party, was kept on board even though it professed the same policies including an unequivocal advocacy of abolition of Water Charges, Irish Water and non-payment, all clearly opposite to Sinn Féin and R2W ever evolving policies. People Before Profit’s stance throughout seems one of straddling the fence between R2W, Sinn Féin’s agendas and the AAA more militant approach. As far as we are aware the PBP have never highlighted R2W’s or Sinn Féin many questionable policies, even right to the bitter end. In this regard we have to take their silence at face value by not saying anything it has condoned R2W methods. The PBP’s silence at the treatment of it’s own political partner, the Anti Austerity Alliance, by Brendan Ogle and many within R2W and particularly by Sinn Féin was synonymous with holding one’s tongue for fear of upsetting things, putting on a front. All things that we are railing against in this article. The same could be leveled at the myriad of Independents supporting R2W, but we must point out two that were involved in the Oireachtas Water Committee, Thomas Pringle and Séamus Healy. Thomas Pringle was involved in the Can’t Pay Won’t Pay and as such was an advocate of non-payment. He was also very much aware of the antics of Sinn Féin in Donegal. Yet he held his tongue very well, advocating his support for R2W all through his 2016 election campaign and beyond. Sinn Féin’s deputy leader Mary Lou McDonald’s comments to the Journal.ie in Oct 2014 epitomised her party’s disingenuous approach, even back then. She attacked Paul Murphy, AAA, she assured us that Sinn Féin had clear position on the water issue since 2010, she claimed Sinn Féin knocked British plans to introduce new charges “in the North”, she emphasised that Sinn Féin does not advocate “a no pay policy” and went on to say that “R2W does not advocate that position”. The Sinn Féin deputy leader and many others in it’s leadership constantly reiterating the negatives of non-payment, not only scared people off but was totally disingenuous to the general campaign. Somehow it didn’t seem like their approach help foster a united front. It was more like a Sinn Féin unilateral onslaught. Both the R2W and Sinn Féin leadership stayed clear of fully backing these campaigns. R2W had no clear policy on the matter and what verbal explanation they had, was downright confusing , conflicting and disingenuous. We believe that this was intentional since R2W could not advocate anything opposed to the policies of their main political supporting party. Sinn Féin’s ambivalent water policy especially at the embryo stage of R2Wwas particularly confusing to many finding it difficult to explain it to the public. It seemed like the campaign was forever, being shocked by statements fromSinn Féin leaders. Their ambivalence and it’s stance on Irish Water Ltd together with it’s reluctance to advocate civil disobedience not only led to confusion within the anti water charges movement but also filtered into the policies of R2W. Despite Sinn Féin’s sketchy water policy document ‘The Future of our Water Services’ published on Sept 2014, proposing abolition of water charges but retaining Irish Water, several Sinn Féin personnel went on to say that they would pay water charges. Of course the accusation of bias can be levelled at the Irish Independent but the subject of their article ‘Adams in embarrassing U-turn on water charges’ on Oct 9, 2014, was doing the rounds of all the mainstream media. Mr Adams’s was in a quandary after a Sinn Féin spokesman said he would be paying for his holiday home in Donegal and his two constituency offices. The article went on to quote other Sinn Féin members about paying or not paying water charges. Interesting Jonathan ÓBrien, later a representative on the Oireachtas Water Committee, said he had not decided. Highland Radio, Oct 2014 reproduced comments from Pearse Doherty, Mary Lou McDonald and Gerry Adams in October. Ms McDonald’s remarks were made to Newstalk, Sept 2014, prior to Sinn Féin’s 2014 water policy. Yes, I’ll be paying the water charges. If I didn’t fill in my form I will end up paying Irish Water more. So I I’ll be paying them. I will be paying. For lots of people it’s not, you know, a case us telling them what to do, for lot’s of people they simply will not be in a position to pay. Well we think there’s a difference between a citizen, a householder, deciding they’re not pay and we’ll support them in doing that but giving the experience of of other campaigns where people were left floundering and foundered on a whole series of punitive penalties brought in by the Government, we considered this and we decided not to advocate and our party is not advocating. The way to change all of this is at some point to put Sinn Féin into Government and then Sinn Féin, in the course of that Governmental term will reverse and turn off the water tax. Sinn Féin’s Water Charges Policy Position paper, Nov 2015, followed by it’s2016 Manifesto, refined their previous 2014 Water Policy document slightly. It stated that it would abolish water charges but now used “dismantle” Irish Water, meaning reform it. The added clause ‘if in Government’ seems to suggest a fall back position if things go wrong. It also suggests having faith that, if elected to Government, Sinn Féin would do what it promised. In the 2015 policy document Sinn Féin refer to it’s position in the Northern Ireland Executive and give the impression that they were responsible for stopping Water Charges there. That is a highly controversial claim as we have mentioned. What was also highly significant about the new 2015 policy document was that it was developed at the same time as the Right2Change policy document. Both water policies were very similar. The R2C document stated that it would fulfill it’s policies within 100 days of a Government endorsing them. 2. as a party political policy to appeal to the middle ground portraying Sinn Féin as a reliable, law abiding party, fit for Government. It is a credit to all in the grassroots water movement that they were able to withstand such intense misdirection. 2015 was a busy year in lots of ways for the two major Right2Water influences; Sinn Féin and the Trade Unions, Unite and Mandate. In February 2015 Lynn Boylan, Sinn Féin MEP, brought the trade unions representatives Brendan Ogle and Dave Gibney over to the European Parliament along with some Sinn Féin activists. In our view this was a highly significant and insightful series of events and as it turned out had the approval of Sinn Féin party and R2W. It was another object lesson in campaign management after the hand-picked delegation made a big splash in the media, meeting activists and officials in Brussels. They were now on the big stage recognised by Europe, officialdom and Water activists. The timing of the delegation is interesting. It coincided with a ‘European Citizens Initiative’ (ECI) launched by Right2Water Europe to force the European Commission to guarantee access to water and sanitation as a human right, and give a legal undertaking that water services will not be liberalised in the EU. Lynn Boylan, MEP, was responsible for preparing a report on behalf of Right2Water Europe and presenting it to the EU Parliament. In Sept 2015 the report backed by all Sinn Féin’s MEPs, was approved. However, a controversy arose when Ms Boylan was later accused of of having reversed Sinn Féin’s position on water charges in the wake of a vote in the European Parliament. (see journal.ie article, Sept 8 2015 ' Is Sinn Féin now in favour of water charges'). An accusation that Ms Boylan or Sinn Féin have never addressed properly. Read the full ECI report European Citizens’ Initiative Right2Water. The controversial section in the report is Section 92, below. This section indeed accepts a charging mechanism ‘proportional to the amount of water used’. Brendan Ogle (Unite), Billy Wall (OPATSI), Des Fagan (CPSU), Lynn Boylan MEP, Cllr Paul Donnelly, Brian Stanley TD, Cllr Daithí Doolan, David Gibney (Mandate), Cormac Ó Dálaigh (CWU) and Phillip McFadden, Sinn Féin. Section 92 is certainly significant and far reaching. Fast forwarded to the year 2016/2017 the controversial phraseology was almost identical to that included in the Expert Water Commission's report and accepted by the Oireachtas Water Committee’s in April 2017. What is striking about the SF/R2W delegation is Sinn Féin’s use of the trade unions not only to associate themselves and the unions with the leadership of the water fight back home, with European counterparts and officials but also lend it’s support to Liz Boylan’sreport to the EU Parliament including the controversial section that accepted charging and ‘excessive usage’. This European stance completely contradicted the one they supported back home and helped to draw up in the forthcoming Righ2Change’s ‘Policy Principle for a Progressive Government later in the year. One wonders how Sinn Féin could have two conflicting policies on water charging and excessive use, one in Ireland and one in Brussels. However as it turned out it was the European policy that was their preferred one all along. It's more than a coincidence that it was the policy eventually adopted by R2W and the Expert Water Commission and the Oireachtas Water Committee. Brendan Ogle agreed with an ‘excessive use charge’ and the ‘Expert Water Commission ‘ report when interviewed by Sean Ó Rourke on RTE Today radio programme on Nov 30, 2016, (at approx 12 mins). The interview took place a day after the Expert Water Commission published it’s report. As far as we know Mr Ogle’s statement was a personal one. It’s timing and content was highly controversial. It was the first time that anyone from R2W or the wider anti water charge movement in Ireland talked about accepting the Commission report and the ‘excessive use’ charge. He then goes on to suggest that it was a done deal that the C.E.R was given the job of working out limits. The statement preempted any debate within the movement with regards the Commission’s report. It also preempted discussion within the Oireachtas Water Committee which began in December 2016. However, Mr Ogle’s statement and the findings of the Expert Commission supported Section 92 of Lynn Boylan’s report that was passed the EU Parliament in April of that year. Mr Ogle’s statement agreeing with ‘excessive use’ was corroborated by Steve Fitzpatrick, CWU and David Gibney, Mandate, in February 2017 when they attended the Oireachtas Committee on Funding Domestic Water. After being asked by Barry Cowen, Fianna Fáil, if Mr Ogle’s statement was the viewpoint of R2W, Mr Fitzpatrick’s reply was “it is the viewpoint”. FliuchOff mentioned that only hand-picked people from R2W groups around the country were invited to central committee meetings in Dublin. We agree and our ‘ Donegal Critique’ article gives a blow by blow account. The chosen representatives were not elected locally but picked by R2W leadership and without a glimmer of shame these ‘community reps’, as they were referred to, were obliged by the leadership to undergo a week long introductory course organised by Unite trade union. Fliuch called the move ‘Controlled Opposition’. Controlled Opposition, although referring to Government control, in the case of R2W, fairly describes how the organisation with the hidden hands of misdirection control manipulated and used the massive grassroots outrage, especially the Water Charge issue. This control can be traced to the leadership of R2W and in particular, Unite and Mandate Trade Unions and the larges party within R2W, Sinn Féin. 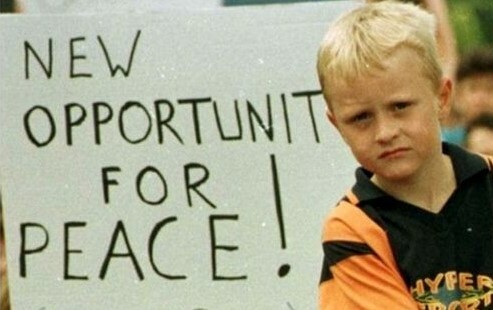 No matter the origins and aspirations of R2W, it descended quickly into a top-down mechanism hidden in euphemisms of grassroots bottom-up approaches, democracy and ‘unity’. Brendan Ogle (Unite) and Dave Gibney (Mandate) assumed the role of organisers and main spokespersons. They became the acceptable face of Right2Water. Sinn Féin was the largest party involved and as such pulled a lot of wait. It soon became obvious that with the R2W Trade Union central command in Dublin together with a heavy involvement by Sinn Féin in the R2W organisation that both agendas were running the show. We complained several times to the trade union organisers about lack of democracy in R2W and the undue influence that Sinn Féin had. We complained about the level of organisation and commitment locally, believing that Sinn Féin were quite content with the odd march, media articles and photo shoots. We have never received a reply from the R2W leadership to this day. We did have a conversation with some people involved in the R2W Dublin central group. We were told that Sinn Féin ‘was the biggest political party in R2W, so why should they not have the biggest say’. We were then accused of having ‘a vendetta against Sinn Féin’. 'Vendetta', we believe, is the wrong word, 'major criticism' would better describe our total dislike for the way the party machine operated. As far as we know there has never been formal democratic structures or elections to roles within R2W. The informal structure led, inevitably, to factions taking over the organisation that left many fine people and groups out in the cold. The level of control exerted by the Trade Unions was demonstrated by their well organised May Day R2W conference in Dublin in 2015. Again there were only invited guests from R2W groups, political parties and international organisations in attendance. The groundwork was laid in this conference for the eventual attempted shift from Right2Water to the more political Right2Change organisation. There was a second conference in June to determine a policy platform ahead of the next General Election and submissions were invited. Right2Change was launched in Wynn’s hotel Dublin on Oct 2015. Again this was organised and run by R2W trade unions with invited guests. It was an attempt to direct the organisation into a more politically structured organisation , complete with it’s ‘Policy Principles for a Progressive Irish Government’ document. Political parties would sign up to an electoral strategy in the run-up to the General Election in February 2016 and agree a programme for Government. 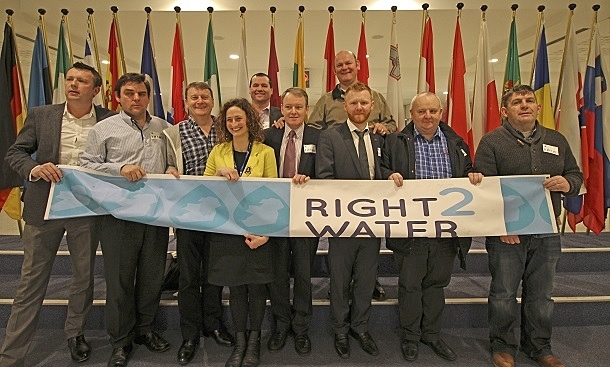 An excellent criticism of the 2015 Right2Water May Conference was written by Cllr Brendan Young entitled 'Reflections on the May 1s Conference called by R2W unions'. As one can imagine there was considerable confusion around the country as a consequence of these series of events. The much lauded grassroots around the country were kept out in the cold wondering what all the political scheming was about. To them it was simple; boycott the charges, don't recognise Irish Water, disrupt meter installation, civil unrest and put pressure on politicians and parties to back them. What they needed was a strong coordinated organisation, helping, advising, finding information, liaising with like-minded organisations. However, what they got were factions and in fighting between unions and political parties, misdirection and propaganda. From June to October there was a concerted effort by the R2W trade union leadership and Sinn Féin to denigrate the ‘Left’ and whip them into supporting the R2C principles. Eoin Ó Broin’s published an article 'Reflections after Righ2Water progressive Irish government conference' in which denigrates the 'revolutionary left, led by an alphabet soup of Leninist grouplets' and goes on to accuse them of 'their impossibilism has led to self-marginalisation'. Everyone knew who he was referring, of course, the Anti Austerity Alliance. This was followed by Mary Lou McDonald in the Irish Times, Oct 27 2015, ‘Unforgivable’ for left wing parties not to join pact, says McDonald' putting pressure on other left wing groups to sign up to R2C broad policy platform and a transfer pact. Mary Lou McDonald warmed that "it is unforgivable if other left wing groups did not grasp the opportunity of a broad policy platform and transfer pact." Then Gerry Adams, on the same day as Mary Lou, also in the Irish Times, Oct 27, 2015, 'Sinn Féin to agree pact with left-wing parties and Independents' preempting discussions on electoral strategy in the week prior to a R2W conference and unilaterally putting forward Sinn Féin's proposal for an electoral pact. Well on paper anyway! The controversy over 'election strategy' took another nose dive after R2C organisers sent out a circular asking all candidate demanding that R2W supporting parties and Independent candidates answer ‘Yes’ or ‘No’ to three questions on policy. At the R2C Conference at the end of Oct 2015, Brendan Ogle went through all replies individually. This orchestrated procedure was, in our view, divisive and unnecessary. It was condescending, however, it got worse. When it came to the turn of the Anti Austerity Alliance Brendan Ogle seemed cynical towards it's reply. And he pointed to the written "NO." The newly cobbled together R2C limped on until the General Election in February 2016 during which time there was no discernible ‘electoral pack’ on the ground. It really was every candidate or party for themselves. R2C faded away after the elections and once again the leadership assumed the Right2Water name. The attempt by the leadership of R2W may have floundered in internecine feuds, however, what it did do was consolidate the trade unions’ and Sinn Féin’s grip on the organisation and as usual the grassroots playing second fiddle. Despite confusion and infighting within R2W in the 2016 General Election the electorate did vote a majority of candidates that supported the abolition of Water Charges and Irish Water, however, among these were 44 Fianna Fáil TDs. There may have been a possibility for a grand coalition but realistically this was not going to happen because of the rivalry between Sinn Féin and Fianna Fáil and also the Left were adamant against supporting a Fianna Fáil led government. April 2016 saw a move by activist, led by Cllr Brendan Young to counter a suggestion by Brendan Ogle that elected R2W TDs form a grand coalition with Fianna Fáil. How Mr Ogle's suggestion could have formed a ‘progressive Government’ was not clear especially given Fianna Fáil’s record and their political affiliations. Although Fianna Fáil made electoral promises to abolish Irish Water and Water Charges in their ‘Core Principle’ manifesto, they were not prepared to go to the country for a second election and finally agreed a ‘Confidence and Supply Arrangement’ to facilitate a Fine Gael led Minority Government. No matter what Fine Gael and Fianna Fáil may have said, it turned out that the water issue and Fianna Fáil’s election commitments, including the abolition of Irish Water, were a major obstacle in negotiations. Someday, perhaps we may find out what went on in those negotiations and how an agreement on an ‘Expert Water Commission’ followed by an Oireachtas Committee on Funding Domestic Water and the Water Services (Amendment) Bill 2016 was established. These agreed bureaucratic processes would kick the issue down the road for well over a year. It would allow Fine Gael to set their ‘Terms of References’ that were very restrictive and would allow Irish Water to become established and metering to continue until the end of their contracts. Fianna Fáil’s Sean Fleming referred to a statement by Sinn Féin’s spokesman Eoin Ó Broin’s on RTE This Week programme, March 13, 2016 as ‘Extraordinary’. Despite Sinn Féin signing up to the Right2Change policy of abolishing Irish Water and setting up a new national water board, Eoin Ó Broin, Sinn Fein spokesperson told the programme that his party sees no obvious alternative to Irish Water at present which is why they want to launch an independent commission to find out the best model. The statement was extraordinary for a number of reasons not least for the reason that once again Sinn Féin unilaterally made a public statements about it’s policy and strategy on water despite the fact that it was signed up to the R2C agreement. The statement conceding no ‘credible’ alternative to Irish Water, the call for an ‘Expert Water Commission’ and the admission that Sinn Féin would abide by what that Commission recommends flew in the face of the anti water movement. Mr Ó Broin’s statement must also be viewed in the context of ongoing negotiations at the time between Fine Gael and Fianna Fáil’s about an agreement for a Minority Government where the water issue was a major stumbling block. As it turned out it was agreed to set up a Expert Water Commission followed by an Oireachtas Committee on Funding Domestic Water. (see Cabinet approves Water Services (Ammendment) Bill 2016 ). We have to take into account the rivalry and competition between Sinn Féin and Fianna Fáil for the republican vote. This wouldn’t be the first time or last that Sinn Féin would pull a stunt like Mr Ó Broin's in order to get one over on their arch rival and to manipulate them into a reaction. This rivalry for republican voters has been a feature ever since Sinn Féin under Gerry Adams abandoned it’s abstention policy in the Republic of Ireland in 1986. We believe that it was this rivalry that had a major bearing on both party policies on the ‘Water Charges’ issue. The delaying tactics from the General Election in Feb 2016 right through to April 2017 that involved an 'Expert Water Commission' followed by a 'Oireachtas Committee on Funding Domestic Water' was a political hoodwink, one that R2W and Sinn Féin, not only participated in, but facilitated by previous unilateral statements which we refer to in this article. In saying this we have to consider many statements from R2W leadership and Sinn Féin about 'excessive water usage', their unclear policy on Irish Water, their actions in the attack on the left and especially their involvement and unilateral action in the European Citizen Initiative controversy. We believe that the AAA acted honorably and sincerely up to the point when it participated in the politically biased Oireachtas Committee on Funding Domestic Water. It was a decision, we believe, partly driven by their agreement with People Before Profit; their vulnerability over the series indictment of AAA members as a result of the Jobstown protest and by this stage being out in the cold having been ‘sent to Coventry’ by R2C. A special mention has to be made about the failure of R2W TDs, especially People Before Profit to highlight problems within the R2W organisation and their failure to support others who did highlight the problem. That would include ourselves but more importantly none spoke out about the issue over AAA’s expulsion from R2C. People Before Profit were responsible for setting up R2W in the first place and secondly they had a political arrangement with the AAA party. The PBP’s and indeed all R2W TDs’ failure is reprehensible. Whether it’s the case of ‘end justifies the mean’ or riding two horses at once for political ends, for whatever reason, it asks questions of their ability and integrity. The water issue was completely subsumed by the political process after the General Elections in February 2016, when the minority Fine Gael Government with approval from Fianna Fáil, set up a Water Commission in July 2016 followed by a Oireachtas Committee on Funding Domestic Water. This process would continue until April 2017 with full participation of R2W and it's supporting TDs. We believe R2W TDs should not have participated in what were obvious establishment set-ups including the Expert Commission and the Oireachtas Water Committee. These processed did not reflect the mandate given in the General Election by the Irish People. The political processes were designed by Fine Gael and their'Terms of References' were so narrow that they did not include e.g Irish Water and Ireland’s water structure generally, only 'domestic water'. The political affiliation of the members of the Oireachtas Water Committee also did not reflect impartiality or democratic wish of the people and it's make up in the end ensured a hung vote. We also have major criticisms about the final outcome of that Oireachtas Water Committee, the role played by the anti water charge representatives and a major impact that the R2W Trade Union delegation had when they admitted to Brendan Ogle’s agreement to an ‘excessive use’ charge. See journal.ie, Feb 2017. It is a terrible indictment that after all this time important criticisms and questions raised in our 2015 article ‘ A Critique. Donegal A Microcosm of the Malaise affecting Right2Change Ireland ‘ have never been acknowledged, debated nor answered by the Right2Water leadership or Sinn Féin. That was ominous and a sad reflection on an organisation portraying itself as a democratic movement based on grassroots activists. We understand that such a policy of ‘silence’ is prevalent within Sinn Féin who seem to have copied the mainstream parties attitude to controversy by adopting ‘say nothing and wait for it to blow over’. However, we did not expect the whole kit and caboodle of R2W leadership to be the same. We recently published an article criticising actions by the R2W TDs who, on April 6, 2017, gave a press release outside Leinster House and blatantly deceived the Irish people by proclaiming a victory which was only based on a draft report Right2Water Tds' premature Victory claim - We were sold a pup?. The article was sent to all TDs in the photograph. We have not received one explanation to date. The " Conspiracy of Silence " and the refusal to answer allegations of a 'sell-out' by the leadership of Right2Water Ireland and supporting TDs in claiming a non-existing victory on the Water Charges issue is shameful beyond words. When one considers that TDs know exactly the significance of a ‘confidential draft report’, that it was not only a confidential document but also and more importantly only a draft and not finalised, it begs a question why they said and did what they did. We rail and shout against Government for this type of behaviour yet do not have the courage to face up to similar carry on in the leadership of our own movement. The Belfast leader once confided to a colleague on the Army Council the tactical approach he favoured when going about the destruction and removal of political enemies, and it was this line of attack that he adopted to remove the Southern veterans: "'You don't confront people, ' he would say. 'You isolate and marginalize them and then get rid of them.' I often heard him say that ," the figure recalled. Events surrounding the Oireachtas Water Committee, it’s farcical finale in April 2017 and the confusion about whether there was or wasn’t a ‘Victory’, have left the grassroots bewildered, marooned in no man’s land, wondering what just happened and what do they do now. The grassroots are left with many many questions but unfortunately they are getting very few honest answers from R2W and the TDs who were involved in the Oireachtas Water Committee. Instead of explaining what happened and what comes next, all there seems to be are deflections and political one-upmanship. Was there a ‘Victory’ or was there, as some have ventured a ‘sell out’ ? If there was a victory, who won? If it was a sell out, who sold us out? Eoin Ó Broin’s, Sinn Féin gave conflicting views in his article in An Phoblacht, April 13, 2017, ‘Fianna Fáil the big losers in faux water wars’ He said that much of the final content of the report was shaped by the five Right2Water TDs and goes on to talk about ‘the spoils’ will have to be shared by Right2Water and Fine Gael? He then goes on to , what we believe, is the meat of the article when he accuses Fianna Fáil of flipping three times. The meat is Fianna Fáil and dinner at the top Dáil table is the aim. The reference to ‘spoils’ in our view, is highly symbolic and Mr Ó Broin’s attack on Fianna Fáil epitomises Sinn Féin’s attitude to the water issue all along. It is a contest particularly with their political nemesis, and the prize is electoral gain. For Sinn Féin, our conclusion is that the water issue was only ever a means to an end and Right2Water a handy vehicle. Mr Ó Broin may be factual when referring to Fianna Fáil’s flip-flops but he conveniently does not acknowledge a litany of u-turns and deceptions that R2W and Sinn Féin committed. This, we would add was much worse coming from supposedly trenchant supporters of the anti water charge movement. With Sinn Féin’s propensity for changing it’s policies to suit the occasion , perhaps Mr Ó Broin might be better off not pointing to the mote in Fianna Fáil’s eye but behold the massive deception his own party committed. It would take another separate article to lists the many u-turns and the unilateral decisions that the Sinn Féin and the R2W leadership made since the start of the R2W campaign in 2014 and how R2W facilitated these for the sake of some type of 'united front' on their terms. Although this article has already exposed some major deceptions describing their U-turns, misinformation by R2W leadership that led to what we see as the abandonment of red line issues such as abolishing Irish Water and Water Charges and metering, it is only a fraction of the enormous amount of misdirection, deceptions, political intrigue, intimidation, that went on during the entire campaign that eventually ended in the concessions bartered in the political chicanery of the 'Oireachtas Committee on Funding Domestic Water' which ended in April 2017. (See The Day the Music Died for Ireland's water movement - Politics as Usual). We have not touched on the River Basin Management Plans (omitted from the Oireachtas Committee Terms of Reference), or the 'Irish Exemption, Section 9.4 of the Water Framework Directive and it’s importance to Ireland. Lynn Boylan, MEP , Sinn Féin and R2W knew exactly how important these were but somehow failed to make sure they were in any final deal. We have to know why they were left out. They were, indeed, very noticeable and serious omission from the Oireachtas Water Committee’s report. Given Eoin Ó Broin’s statement above on RTE Radio, about ‘no alternative to Irish Water’ and calling for a Water Commission to investigate ‘the best possible model’ , as well as Sinn Féin’s ‘excessive use’ policy in the EU and all that that entailed, taking part in hobbled committees in Ireland and finally, their acceptance of a much diluted agreement that included metering, excessive use charging, and no mention of the hated Irish Water company; it is difficult for anyone to keep track of all Sinn Féin deceptions or U-turns. A nation can survive its fools, and even the ambitious. But it cannot survive treason from within. An enemy at the gates is less formidable, for he is known and carries his banner openly. But the traitor moves amongst those within the gate freely, his sly whispers rustling through all the alleys, heard in the very halls of government itself. For the traitor appears not a traitor; he speaks in accents familiar to his victims, and he wears their face and their arguments, he appeals to the baseness that lies deep in the hearts of all men. He rots the soul of a nation, he works secretly and unknown in the night to undermine the pillars of the city, he infects the body politic so that it can no longer resist. A murderer is less to fear. - Marcus Tullius Cicero, from a speech given to the Roman Senate, recorded in 42 B.C. by Sallust. It is easy to see how establishment parties like Fianna Fáil, Fine Gael, even Labour and Greens, etc were the enemy at the gates, along with EU Commission, state bureaucracy, financial institutions and international capitalism made up a formidable force against the rank and file of the Irish Water Movement. Yet no matter how determined and aggressive that array was, a raggle-taggle water movement still made it very difficult for them, so difficult that we nearly succeeded. However, if it hadn’t been hobbled by ulterior motives and opportunism from forces aligned to the movement, who knows what could have been possible. Many would say and not least themselves, that Right2Water and Sinn Féin did an excellent job in organising opposition to Water Charges. Brendan Ogle was never shy in taking credit for the ‘mass water movement’, constantly referring to the great work they were doing in the media. Just listen to him in the above Youtube video clip taking credit for the greatest movement this century. He somehow ignores that mass opposition in the 70’s and 90’s stopped water charges and managed to get an Irish Exemption included in the section 9.4 of Water Framework Directive in 2000. Something that they would like brushed from history since R2W and their TDs never made sure to get it included or mentioned in the final Oireachtas Water Committee report. Sinn Féin does not do anything altruistic nor without a long term plan. Maybe that could be leveled at the Trade Unions movement as well. Everything is well plotted and must have their stamp of approval. Both have huge financial clout and expert backroom staff and connections. Right2Water unions used Sinn Féin’s party apparatus and vice versa, Sinn Féin were delighted to use R2W. It was seen by them as a great opportunity to affiliate with the trade union movement without being overt about it, consolidating their left wing support and rejuvenating their flagging Republican base. More importantly Sinn Féin saw R2W as a mechanism to broaden their middle class electoral appeal. It was the latter reason that was of paramount importance to Sinn Féin, in our opinion, because it suited it’s political ambitions. Sinn Féin are bending over backwards to be seen as a ‘responsible’ ‘law abiding’ party, fit for Government. What better way to do all this than as part of Right2Water. In our view it was all about Sinn Féin agenda, about electoral gains and the road to Government. To this end, Sinn Féin recognised the potential of the R2W movement. 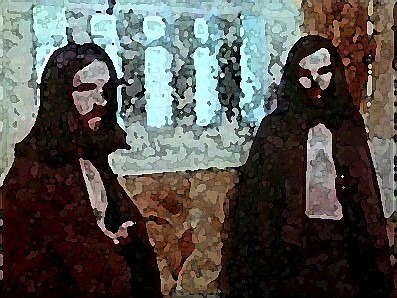 It was a means to an end, 'the end justifies the means', perhaps. Fundamentally it was never about ‘water’ but all about the political process and rivalry with their opponents. That was why it joined with and promoted Right2Water right from the start and that was why it needed a controlling hand. The unions, particularly Unite and Mandate, both British based and aligned to the British Labour Party, knew they had to consolidate their position in Ireland. They also knew that in recent years, particularly after the bank bailout and the austerity measures foisted on Ireland by the Troika, that they were an ineffectual force and that the traditional union hierarchy were so embedded within the discredited Labour Party and system. They had to latch on to something to reverse this trend and what better mechanism that R2W Ireland. Although our recollections are a bit hazy it was NATO, National Association of Tenants Organisation, that spearheaded the earlier anti water charges campaigns. They performed a great and unobtrusive service to the grassroots. Right2Water was a marriage made in heaven for Sinn Féin, Unite and Mandate. Sinn Féin were the biggest political party in Right2Water by a long shot and as such were able to dictate the agenda to suit their needs. This was facilitated by Right2Water’s main organisers and trade union officials Brendan Ogle and Dave Gibney. And together they plotted and sucked the strength of the grassroots movement for their own ends. It seems to me that you are really raising the bar very high for what you would consider a victory. Is absolute victory, in a way that would satisfy you, possible short of a full blown socialist revolution? I believe that water charges, in any meaningful sense, are dead for at least two electoral cycles. Though I think it is a very hollow victory for the anti-water charges movement and will only make delivering quality water services in Ireland more difficult. No position is ever settled permanently. We can always return with better arguments even if it seems to most that the debate is over. Jeremy Corbyn's Labour Party have proposed bringing water services in England and Wales back under public control, though keeping water charges and water utility companies. The notion of no domestic water charges is not one taken seriously outside Ireland as illustrated by your reference to the European Citizens Initiative, which calls for affordable water charges. I am still at a complete loss as to how you envisage water services to be delivered without some sort of water utility company.